From majestic Mount Rainier to the beautiful waters of Puget Sound, Tacoma and the South Sound area offers some of the world’s most spectacular landscape and outstanding sports venues. Whether it’s a 1500 participant wrestling tournament or a college soccer showcase, we have exactly what you are looking for in a great sports facility. 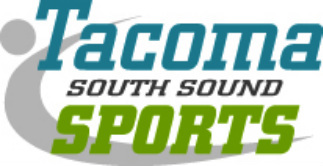 Throughout the year Tacoma South Sound Sports implements a Sport Development Program. We offer service and support to sports clubs and organizations such as coordinating multiple facilities, marketing and promoting events, and arranging overnight hotel accommodations, meals and entertainment for their event. Our own Let’s Play! event helps to strengthen our local clubs to increase their host potential and sports profile. Tacoma South Sound Sports advocates, advises, and advances the construction, renovation, and improvement of our current venue inventory. We also collaborate with government entities, non-profit organizations, civic service organizations, media, and the public to foster awareness and garner their support for our mission. Our vision is to be the premier amateur sports development organization in Tacoma and the South Sound region. To promote Tacoma and the South Sound region as a destination for tourism generating amateur sports events and lead the development of athletic programs and venues throughout the region. The Tacoma Dome is one of the largest wood domed structures in the world. With numerous seating configurations available – 65% of the seating is moveable – almost any event is possible. Unique seating configurations range from 5,000 to 23,000. The arena offers 100,000 square feet of space and the Exhibition Hall offers 30,000 square feet of space, divisible into five separate soundproof rooms. Together, the arena and the hall offer 130,000 square feet of meeting space. Cheney Stadium features amenities that now include 16 luxury suites, a 4,000-square-foot club and restaurant, club seating that is closer to the field than any other seat in any other baseball park across the nation, and a grass berm located along right field. These improvements have helped in making the ballpark one of the premier AAA baseball facilities in the country.